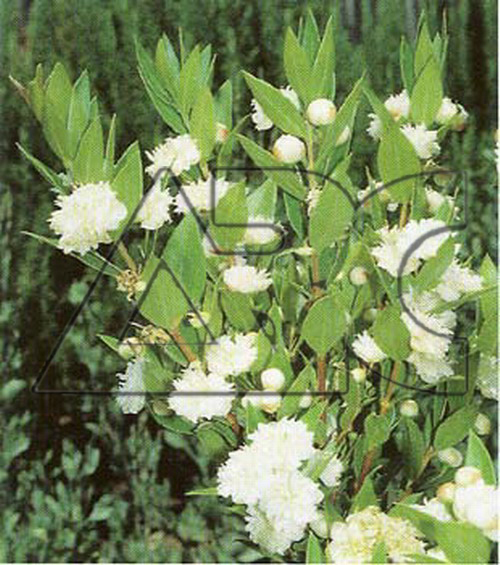 An evergreen, upright shrub grown for its fragrant foliage and ability to withstand clipping. A perfect plant for a topiary or hedge. From midsummer to early fall, produces solitary, white flowers which are followed by purplish-black berries. May grow up to 10 feet tall, but there are many dwarf cultivars available.